Awesome! We will be using this program when we renew. Thanks!! I do this payment plan here in SoCal, and it’s great! About time they brought it to Florida. I had to chuckle at the Main Street USA Barbershop Quartet pictured on the website, featuring a Tenor in Turn-Of-The-Century garb serenading park guests with his reflective sunglasses on. Ah, Main Street USA, that special time in America when the gas lamp was giving way to the lightbulb, the horse-drawn trolley was giving way to the new fangled motorcar, and fashionable UV protectant eyewear was becoming available at The Emporium. I LOVE it! I would most likely use this but I’m not a Florida resident. Why limit this to only them? That’s great, but what about the thousands of us Annual Passholders that live outside of Florida? Georgia residents would LOVE this opportunity too!!!!!!!! 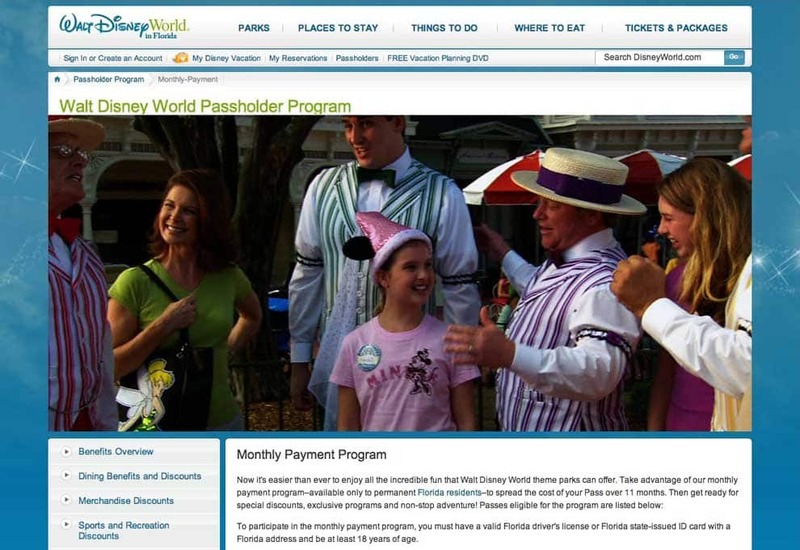 What about us DVC members who purchase the Annual Pass? Is this option open to us, too?? PLEASE!!! How about a payment plan for Non Florida Residents? Wow, sounds great for FL residents. The ironic thing is, if I was a FL I could afford to buy a season pass all at once, versus everyone else in the world and no payment option. Way to go Disney! This is great for Florida residents but what about your Georgia neighbors to the north of you. I live only 30 minutes from the Florida line! Re: my previous comment… just read the details. Renewals not eligible? That’s… really something. Do you know if there are future plans for this to work for renewals and upgrades (e.g. seasonal to annual/premium passes)? Why is this just for FL residents? We go to Disney every year and like to purchase annual passes. I’d like to have this option also. Is the “issue” date the date of purchase? or the first day it is used? Any indication that this will be available outside of Florida residents in the future? It would be a great way to purchase an annual pass for next year! Are they going to extend this option to neighboring states??? Will this be offered to non-Florida residents? Is this only available for Florida residents? I want an annual pass too! This is a great deal for Florida residents, but not all AP holders live in Florida. I certainly hope this option will be available to non-Florida residents soon. What about Non Florida Guests? Any chance this could be extended to non-Florida AP holders in the future? Why do the people who spend the MOST to get to disney, non FL residents, get no break like this? where is the logic? I’m taking it this is only available for Florida residents from how the article reads. Will it ever be an option for out of state guests? Thanks!! Wish this was open to non-Florida residents. I come down as often as I can (multiple times throughout the year for at least 3 days each and usually one or two longer vacations) and have an annual pass. It’d be nice to have the payment plan option as well. It would be nice if this was available to non Florida residents too. How about showing some love to DVC members? It might make some of us more open to purchasing that annual pass if we can pay in installments. What about DVC members??? what benefits do we get? This is great news I’ve definitely been waiting for. My family will definitely be signing up for the annual passes using the monthly payment option. Without this option, I more than likely would have opted not to pay the approximate $1,800.00 up front it would have cost my family of 5 (plus an infant) to purchase the passes. 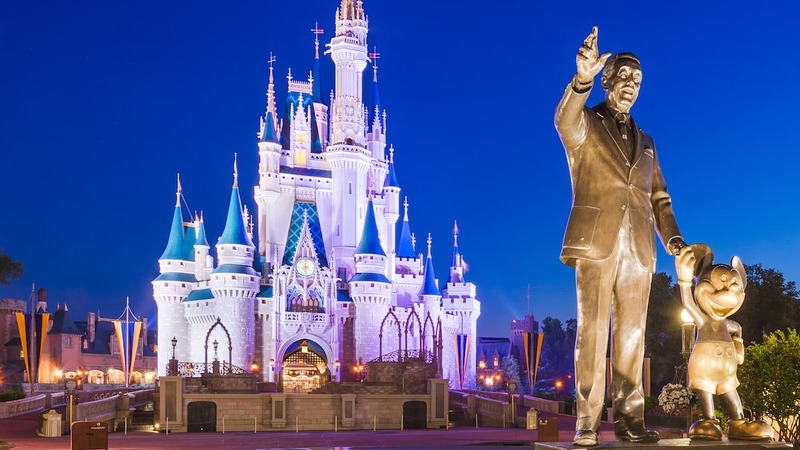 I am positive that it will prove to be a great business move on the part of Disney to expand access to the annual passholder programs in this way. Would Disney consider providing the same service to passholders that are not Florida residents? Will this be available to residents of states other than Florida anytime soon? Great to finally see this! I’m going to give the benefit of the doubt and assume that it’s first being rolled out only to Florida residents as a “beta” test to test the waters/gauge demand. I’d really like to see it offered for all APs! Agree with what Jenny said. DVC perk in the making. I know I would partake and be in the parks more! How about making this available to Georgia residents. I live five miles across the Fla – Ga line. I would snap this up in a heartbeat! OF COURSE we will be using this option! We’ve been waiting for this for forever!!! why not everyone, I spend lots of money at Disney and go once or twice a year!! This should be available for ALL AP holders, not just FL residents, and for renewals as well. I have been an AP holder for 5 years now and I live in NJ. PLEASE let DVC members outside of Fl have this option!! please please please!!! Yes, agreed. I’m not a Florida resident, but would LOVE to have a program like this available! Please extend to other states – I also live in GA and would love to have this payment option. Absolutely!!! We’re a annual pass family of 5 with a new Disney kid on the way! 5 annual passes at once hurts! This is wonderful!! We already participate in the same programs with Universal and Sea World; just have been waiting for Disney to finally launch their own! As someone who lives in Northern California, I understand all of the posts here by people in states neighboring Florida who are eager for the ability to have these payment plans as well. We in NorCal have been waiting for years to have this oppotunity extended to us, but alas, so far it is only for the Southern California residents. I have had a number of Disneyland Premium annual passes through the years, even though I live in the Bay Area. I am certain that I average more trips to the parks than many a SoCal resident…! Its truly a shame that this isn’t open for everyone, and that it’s not available for renewals. What about monthly plans for non-resident DVC members.